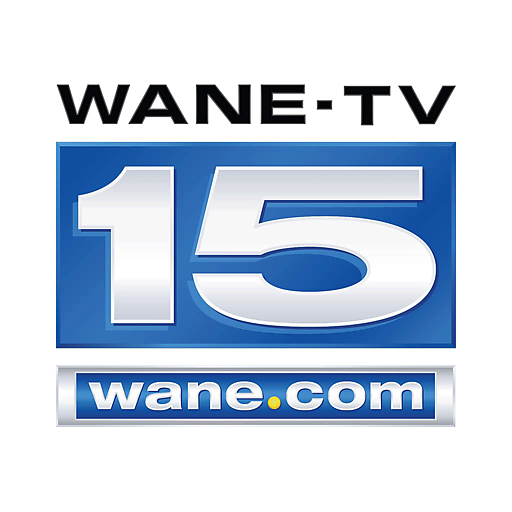 Did you know that you can sign up at http://www.wane.com to receive free weather cancellation and delay text alerts? After filling in all required fields, type “Fremont Community Schools” in the WANE CLOSINGS box. 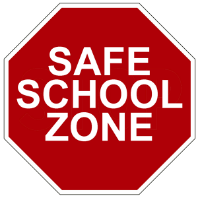 Help us create a safer school zone! A new school year brings another reminder of where Fremont stands with bullying. We are very serious about having a safe school zone, and this starts with you! Report bullying by clicking here and submitting a report to us. Your reports are confidential and will be acted upon quickly. Thank you for making our schools safer! Fremont Community Schools is passionate about guiding every child to experience success with learning every day. We are committed to providing high-quality services in all that we do. Our School Board and our school community will play an active role in establishing and setting our strategic agenda, ensuring that our students are offered the very best education possible. Fremont Community Schools strives to develop students who are literate, able to master the state and national standards, demonstrate responsibility and are prepared for post-graduation success. Staff displays dedication, high-level teaching skills and individualized student attention. Each student experiences a vibrant environment where they master new knowledge, tap their creativity and explore their potential. Specialized programs support students with learning difficulties and extend students with gifts and talents. Our classrooms and facilities offer contemporary learning environments enriched by the latest technology. Fremont Community Schools has been recognized as an “A” Corporation for the past (5) years in a row by the Indiana Department of Education. Fremont Elementary and High School have also been awarded the “Four Star Schools” honor by the Department of Education. Fremont Elementary has an “A” rating from the Indiana Department of Education. 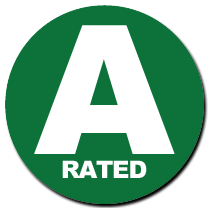 Fremont Middle School has an “A” rating from the Department of Education. The Middle School provides outstanding and award winning band and choir programs. The High School offers a variety of advanced placement and dual enrollment credits. FHS works closely with Trine University to provide the best possible educational opportunities to prepare students for successful futures. The High School is very proud to have had 13 Indiana Academic All-State Athletes since 2008. FCS is a member of, and affords students additional opportunities at the IMPACT Vocational Cooperative, Northeast Indiana Special Education Cooperative and the Educational Opportunity Center. Fremont Community Schools is preparing students for a world of possibilities every day-for every student! If this sounds good to you, please contact us. 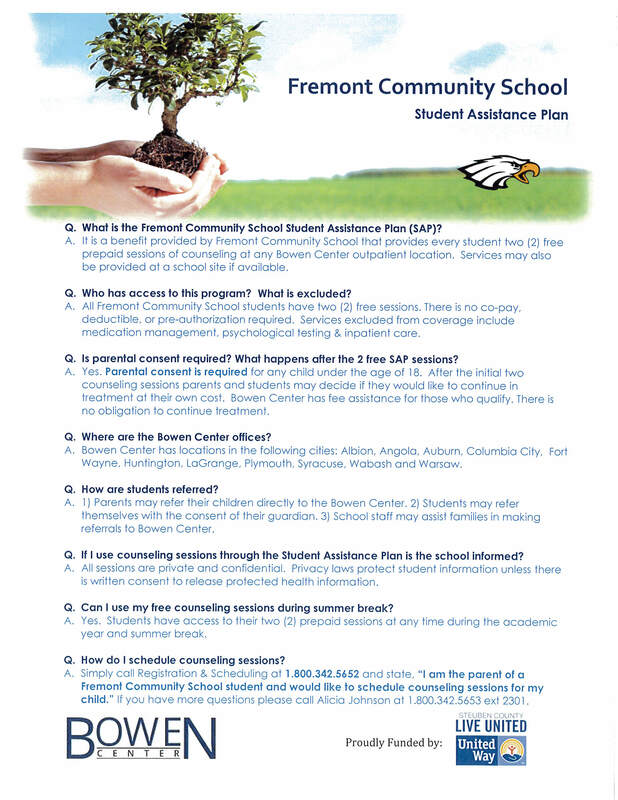 We’d love to have you as part of Fremont Community Schools! Fremont faculty and staff regularly emphasize three keys to succeeding throughout school: attendance, work ethic and extra participation. Students who show up on time, work hard and get involved will certainly get the most out of their middle school and high school years. This is not to say that they will not face challenges. School should be challenging to adequately prepare students for life after graduation. Students who work on these three keys, however, will find the strength within and the resources around them necessary to achieve in the face of obstacles. These keys not only help students to find academic success but lifelong fulfillment as well. Fremont builds in time for students to read at school each day, but research shows that this may not be enough. Students who read at home in addition to reading at school tend to have higher test scores. Here are some ways to incorporate reading at home!